This past Saturday, 17 teams gathered at the American Shooting Centers in Houston, TX for the 2nd Annual Northrise Shootout. 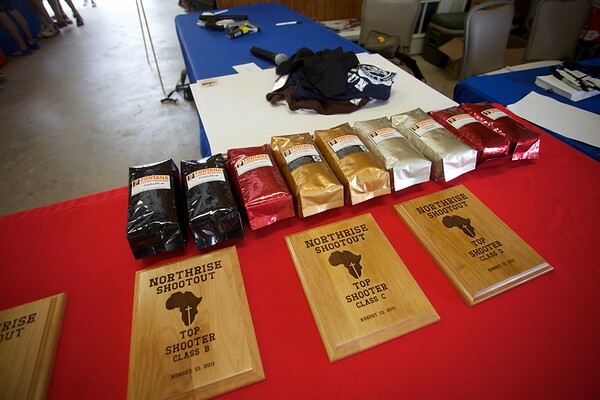 Shooters of all skill levels participated in a fun event designed to raise money to sponsor students in Zambia. Sporting Clays is a fun event (similar to golf, but with a shotgun!) encouraging shooters to participate in some healthy competition shooting 75 clay targets at 10 different stations. The morning ended with a BBQ lunch, prizes, and some exciting raffle giveaways! Click on the photo above to see pictures from the event!